The 2014 Hippocrates Awards were presented at the close of the 5th International Symposium on Poetry and Medicine on Saturday 10th May. Both the Symposium and the Hippocrates Ceremony took place at the�Royal Society of Medicine, 1 Wimpole Street, London W1G 0AE�(Tel: �020 7290 2900). The winners and commended entrants were announced by the judges at the end of the 5th International Symposium on Poetry and Medicine. Alan Beattie (Emeritus Professor, Lancaster, UK); Clare Best (Poetry reading); David Francis (Melbourne, Australia);�Robert Francis QC (2014 Awards Judge, London);�Dean Gianakos (Lynchburg, Virginia, USA); Rebecca Goss (poetry�reading);�Philip Gross�(2014 Awards Judge: Professor of Creative Writing, Glamorgan University, UK); Ahmed Hankir (Clinical Fellow, University of Manchester, UK);�Michael Hulse�(Speaker and Chair; Writing Programme, University of Warwick);�Jens Lohfert J�rgensen (Speaker;�Aalborg University, Denmark);��Luz Mar�Gonz�lez-Arias�(Speaker: University of Oviedo, Spain); Lesley Saunders�(poetry�reading);�Donald Singer�(Speaker and Chair; �Fellowship of Postgraduate Medicine,�London); Kit Wright (Poet, 2014 Young Poets Award). Poetry Reading:�Philip Gross's�The Water Table�won the T.S.Eliot Prize 2009,�I Spy Pinhole Eye�Wales Book of The Year 2010, and�Off Road To Everywhere�the CLPE Award for Children’s Poetry 2011.�Deep Field�(2011) and�Later (2013)�deal sensitively with�his father’s aphasia and dying, raising�questions of voice and language and identity. 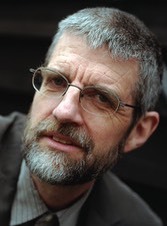 He has published ten novels for young people, including�The Lastling,�has collaborated with artists, musicians and dancers,�and is Professor of Creative Writing at the University of South Wales, where he leads the MPhil/PhD in Writing programme.